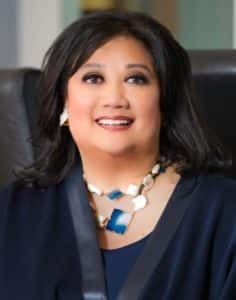 Panish Shea & Boyle LLP attorney Deborah S. Chang will serve as a panelist for the Daily Journal “Women Leadership in Law” event on Thursday, November 15 at the Omni San Francisco. The conference and interactive forum brings together some of the greatest law firm and in-house practitioners to participate in insightful discussions on topics important to the legal profession and of interest to women leaders. Topics for discussion include Women Success Stories, Women in the Courtroom, Science-based Strategies to Thrive…Not Just Survive as a Leading Lawyer, Leadership in the Boardroom, Women and Diverse Lawyers and Business Development, and Women on the Bench. Attorney Chang will speak on the topic of Women Success Stories and will be joined by fellow panelists Barbara Babcock, Judge John Crown Professor of Law, Emerita, Stanford Law School; Evelyn Crane-Oliver, Senior Vice President, Secretary & General Counsel, Robert Half International Inc.; Susan Hollander, Partner, Venable LLP; and Kathleen A. McGinty, Senior Vice President for the Oceans Program, Environmental Defense Fund as well as moderator Cheryl D. Orr, Partner, Drinker, Biddle & Reath LLP. To view the full schedule of speakers or to register for the “Women Leadership in Law” event, click here.